It’s that time of year again that fills many of us with horror: the dreaded spider season. As the weather cools down, our eight-legged friends – or foes – start seeking out warmth, and we unwittingly welcome them into our homes with our cosy central-heating. With around 18% of Brits admitting to having arachnophobia*, this can be less than a pleasant situation for many. 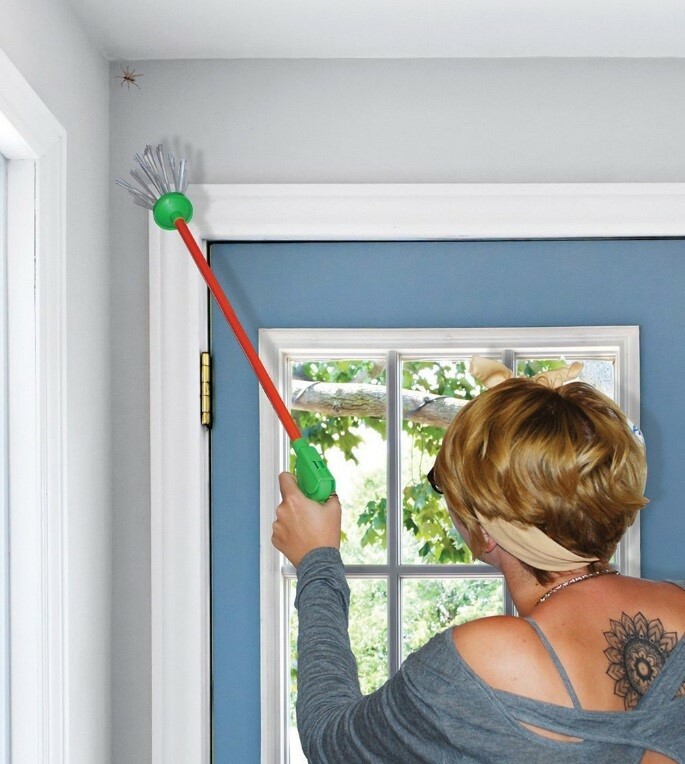 Luckily, there are some spider-busting products you can use to banish them from your abode. At leading high street retailer Robert Dyas, you’ll find a number to help you out. To prevent spiders coming into your home in the first place, The Buzz Spider Repellent (£5.99) is a must-have. The ready-to-use natural formula doesn’t harm them, but the minty smell keeps them well away. It’s ideal for using around windows and doors, especially if you have exterior plants climbing up your walls, which spiders love to hide in. To trap any arachnids that might be crawling around unseen, try the discreet Rentokill Spider & Crawling Insect Trap (£3.49). The sticky poison-free surface will catch them as they walk across it, and you can simply throw it in the bin afterwards. If you like to keep your distance when catching spiders, use The Buzz Spider Catcher XL (£14.99) (currently online only; in store 30th August). It’ll catch them from over a metre away without harming them, so you can release the spiders safely outside. This press release was distributed by ResponseSource Press Release Wire on behalf of Robert Dyas in the following categories: Children & Teenagers, Men's Interest, Health, Leisure & Hobbies, Home & Garden, Women's Interest & Beauty, Environment & Nature, for more information visit https://pressreleasewire.responsesource.com/about.